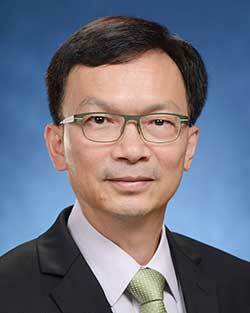 Mr Liu was appointed Under Secretary for Development on 2 August 2017. Before that, he was the Project Manager (New Territories West Development Office) of the Civil Engineering and Development Department (CEDD) from December 2014 to July 2017. Mr Liu is an engineer by profession with over 30 years of experience in the civil engineering industry. Mr Liu joined the Government as an Assistant Engineer in August 1986. He was promoted to Chief Engineer of CEDD in August 2009, Government Engineer in June 2013, and Principal Government Engineer in January 2016. Mr Liu is a member of a number of professional bodies including the Hong Kong Institution of Engineers, the Institution of Civil Engineers, the Institution of Structural Engineers and the Chartered Institute of Arbitrators, United Kingdom.